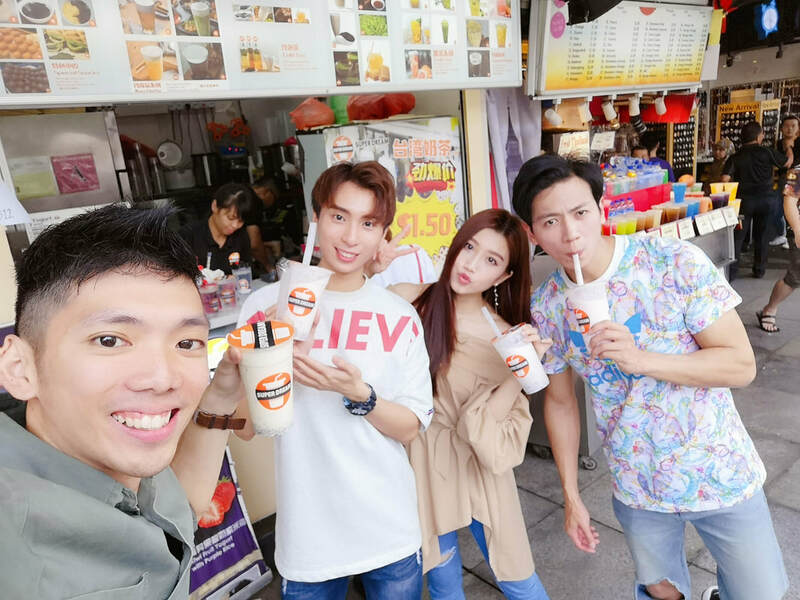 ​Singapore – Royal Entertainment’s rising stars Lawrence Hiew and Danielle Gan are now in Taipei, Taiwan, for several promotional activities on-set local variety programs from 23 April to 26 April 2019. 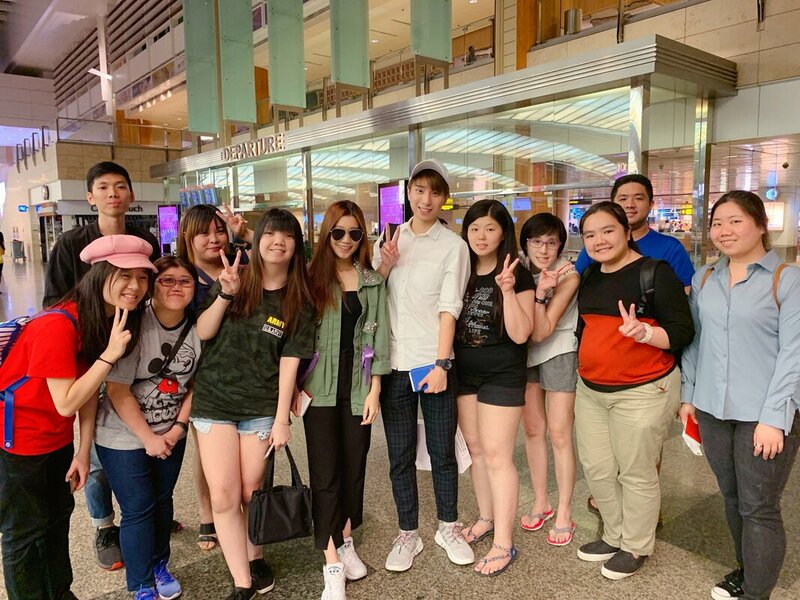 Large crowd of fans were at Changi Airport to see both Lawrence and Danielle off. Their loyal fans were delighted to see their idols venturing into overseas and gave them their best wishes and encouragement. 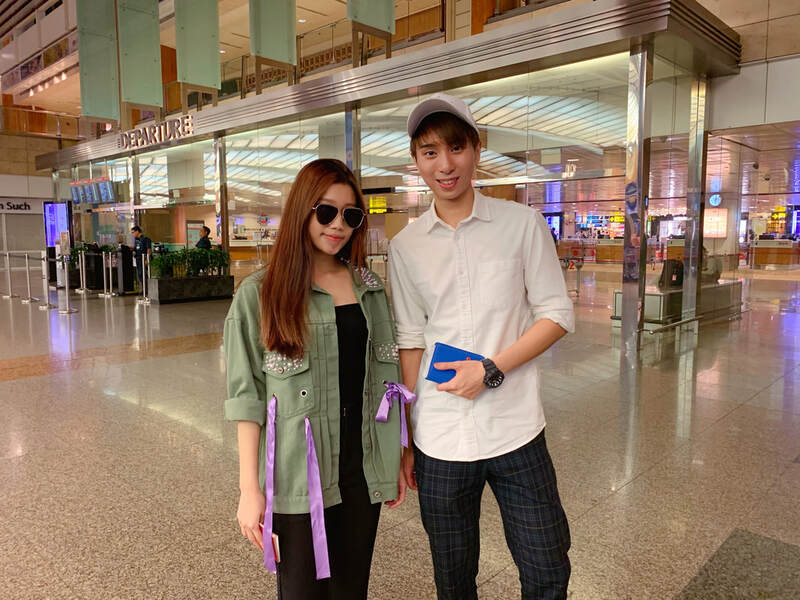 After countless photos with their fans, Lawrence and Danielle were forced to check-in to catch their flight to Taipei. When Lawrence was walking towards the immigration counter, the fans who were standing outside the check-in gate shouted his name in Chinese. Lawrence did not hesitate to turn and wave back at the fans. This gesture sparked the flame in the fans heart and they shouted even louder. ​The immigration officer was seen talking to Lawrence. 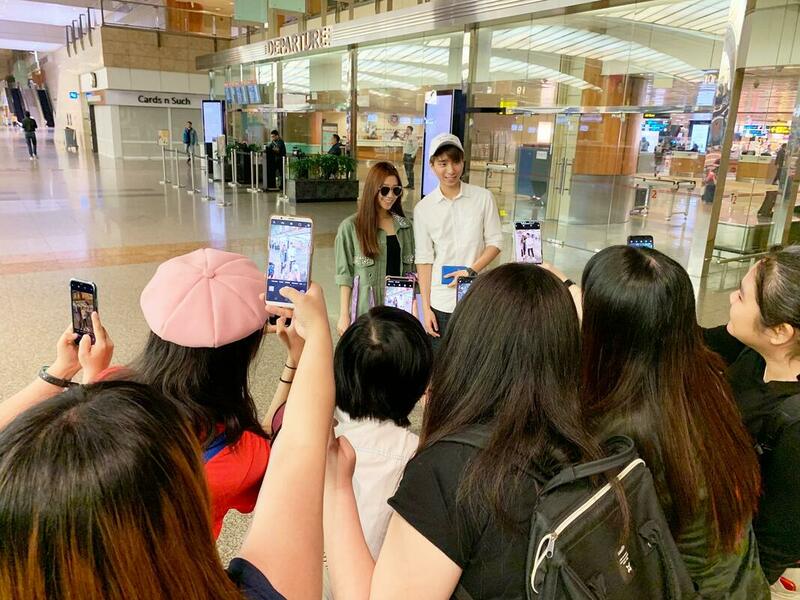 It seems that the immigration officer was asking if they were his fans. “I did expect them (the fans) to scream for my name but not repeatedly till the immigration officer also took notice of this (situation).” Lawrence shared his thoughts on his social media thereafter. ​Danielle commented on her Instagram that she was very appreciative of the fans who came down despite the late flight timing. These gave her more courage to do even better for sponsors and clients shows and program filming. Do keep a lookout for the screening of their appearance in various variety shows soon and hope they will shine brightly throughout Asia. ​For the first time in her 24-year music career, Taiwanese singer Valen Hsu held a concert at the Taipei Arena on April 21. Dressed in a gown that made her look as ethereal as Freyja, the Norse goddess after which her concert tour is named, Valen treated thousands of fans to dreamy live performances of hits such as ‘Freyja’, ‘Miracle’, and ‘I’d Like to Love You’, transporting the audience to a fairy tale-like environment. 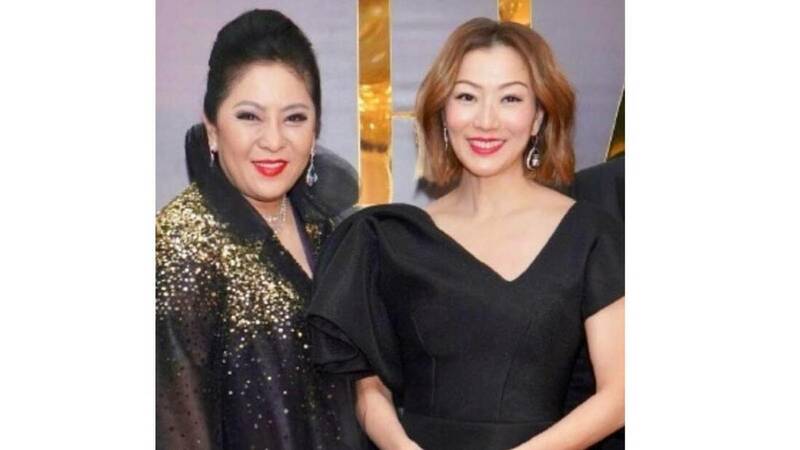 Many of her famous friends also came to show their support, such as Taiwanese singer-host Jacky Wu, who joined her for a rendition of ‘Men and Women’, and Taiwanese singer Lala Hsu, who sang ‘Springtime Allergies’ with her. 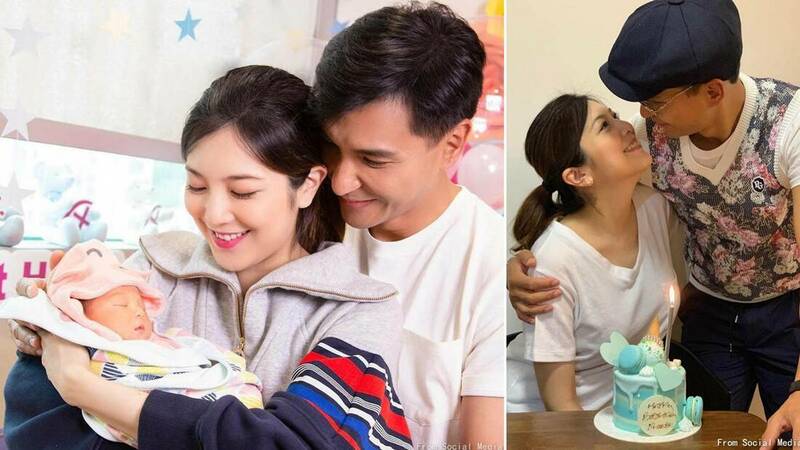 ​On April 21, celebrity couple Ruco Chan and Phoebe Sin welcomed their first child, a daughter named Quinta. The good news was announced by Ruco on his Instagram, who posted a family photo, along with a shot of him holding his daughter. As Phoebe had just celebrated her 29th birthday two days earlier on April 19, little Quinta was described as her “birthday present”. Phoebe shared that Quinta was born via Cesarean section, and that she intends to breastfeed her. However, they are unable to decide which parent Quinta takes after at the moment. “Ruco and I are both so happy! Looking at little Quinta makes us feels so blessed! She spends the whole day smiling, and is really cute. Hope she grows up healthily,” she shared. Speaking about her childbirth experience, Phoebe revealed that Ruco was with her every step of the way, and had helped to cut the umbilical cord. Ruco had also asked why their daughter had curly hair at first, expressing his shock when she began “vomiting white foam” due to the amniotic fluid. Upon hearing his words, Phoebe, who was under general anesthetic, couldn’t help but to laugh. The new mother also revealed that they had chosen to name their daughter Quinta, as the letter Q is in between their initials, P and R. The name signifies their hope that their daughter will grow up well under their care. Ruco and Phoebe tied the knot last October. ​The latest Marvel character to get their own stand-alone movie is Black Widow, portrayed by American actress Scarlett Johansson. With casting underway for the upcoming movie, Taiwanese multi-hyphenate Jay Chou’s recent Instagram update got fans all excited. Jay had uploaded a number of screenshots of an English article, which shared that the movie studios were currently “in the early stages” of casting for a small supporting character roles. Actresses named in the article included 24-year-old Camilia Mendes, of Riverdale fame, as well as Storm Reid, who appeared in A Wrinkle in Time, as well as Jay’s wife, Hannah Quinlivan. 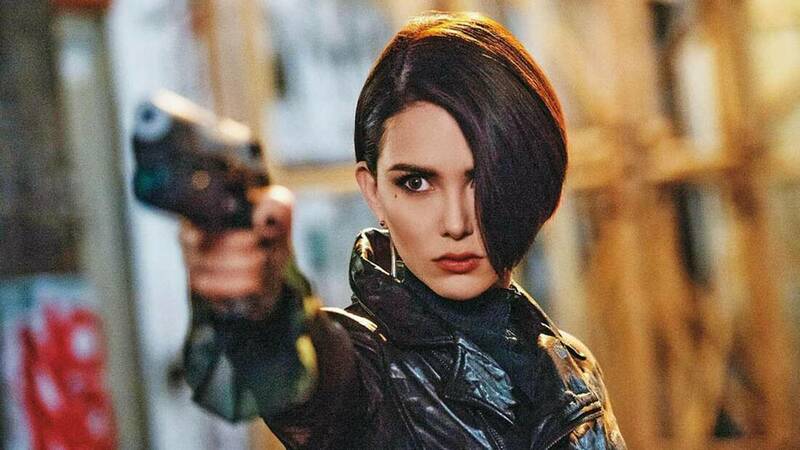 Hannah had made her Hollywood debut last year, playing an assassin alongside American actor Dwayne Johnson in the 2018 movie, Skyscraper. According to the article, the producers are looking for a “woman of colour aged between 15 to 25 years old”. The role itself was added to the movie by writer Ned Benson in a rewrite of the movie’s original script. The script was originally written by Jac Schaeffer. “Wow! You’ve been spotted,” Jay wrote in his caption, adding two thumbs-up emojis and hashtagging Marvel and Black Widow, showing his support for his wife’s blossoming Hollywood career. What’s the first thing that comes to mind when you think of Jerry Yan? Chances are, if you grew up while F4 was all the craze, you’d associate him with Dao Ming Si, his prickly on the outside, soft on the inside character from Meteor Garden. That was probably why we were half-expecting to be intimidated by the 1.8m actor ahead of our interview with him at the Fullerton Hotel, hours before Star Awards 2019. When he entered the room, however, we were taken aback - instead of a scary aura that surrounded the superstar, he was almost exuding beams of sunshine. Perhaps it was the neon yellow windbreaker, or the smile on his face while speaking to the media, but this definitely wasn’t what we expected. He hasn’t always been this perky, however, as he shared that his current management consists of one staff member who smiles so much that he feels that he’s been infected by this happy bug as well. “When I was a part of F4, there were a lot of things that we couldn’t do because we needed to protect our image,” he said. This was probably why he couldn’t be as open with his love life back then, as he’s declared that he now wants a love that’s so passionate that it will consume him. For the record, he’s currently single and ready to mingle. At the end of the 30-minute chat, we were hurriedly packing our bags to head for the awards ceremony when Jerry started personally thanking the media who showed up, even presenting a box of nougats that he assured are “really delicious” to every person. Fast forward a few hours later, as we met the star backstage at the awards ceremony shortly after he walked the red carpet. There, we chatted more about his future work plans, as the 42-year-old said that he is raring to go in the work department. He reportedly tore his anterior cruciate ligament (ACL) during a game of basketball back in December 2016, and has been putting many of his work projects on hold as he focused on recuperating. ​“I chose not to undergo surgery at the time. I spoke to a number of doctors, and they told me that even if I went through it, there was a risk that I might cause even more damage. I focused on therapy instead, and I’m a lot better now,” he said. "I used to limp a little while I was walking, but not any longer." After the injury, we asked him if he’ll be a bit more careful with the acting projects that he chooses. While he has a project that he might start work on in the coming months, Jerry explained that he couldn’t reveal more details just yet. “Hopefully, we’ll be able to make an announcement really soon,” he smiled. With that, our 10 minutes were up and we were quickly ushered out of the room, but not before Jerry could pop his head over the others in the room (hey, it pays to be tall) and thank us for our time. ​Hong Kong producer Tiffany Chen, the vice chairman of the influential China Star Entertainment Group and the wife of Hong Kong actor-turned-producer Charles Heung, has turned to her personal Weibo account to share her thoughts on the celebrity cheating scandal that has been hogging the headlines this week. 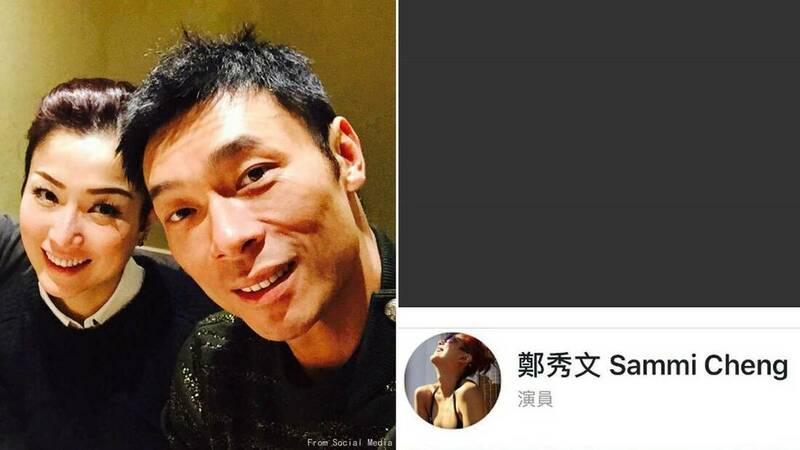 On Tuesday (April 16), a dashboard video showing Hong Kong singer-actor Andy Hui and Hong Kong actress Jacqueline Wong getting intimate with each other was released. Andy is married to Hong Kong singer-actress Sammi Cheng, while Jacqueline is currently dating Hong Kong actor Kenneth Ma. After the release of the video, Tiffany immediately posted on her Weibo, criticising Andy’s actions. “For this cheating scandal, the male celebrity involved stepped forward to admit it. Perhaps some people might think that he might be better, compared to other male celebrities because of that. However, you can’t see it this way. Regardless of whether he admitted it or not, the fact that he cheated still remains. The hurt caused by the exposure [of this scandal] has already been dealt. To add on, the other party involved is friends with his wife, and they often work together. They literally committed a crime right in front of [her] eyes,” she wrote. ​Chinese actress Gao Yuanyuan took a step back from the spotlight after tying the knot with Taiwanese-Canadian actor Mark Chao to focus on caring for her parents and family. In recent months, she has also cut back on her event appearances, choosing to appear through pre-recorded greeting videos instead. In March, a video the 39-year-old had filmed gave rise to pregnancy rumours, as she appeared to have put on a little weight. A month later, Mark confirmed the good news through a post on Weibo, sharing that the couple was indeed expecting their first child. The baby’s expected due date and gender have yet to be revealed. Earlier this week, a different video Yuanyuan had filmed for another event was released, making it her first "appearance" since announcing her pregnancy. In the clip, the actress is seen dressed in a dark blue outfit, with light makeup on and her hair tied back. Though the video was filmed from her shoulders up, so as to hide any signs of her baby bump, the actress looked visibly rounder, and seemed to glow with happiness. After seeing the video, fans flocked to leave comments wishing the actress well, with some even predicting the baby’s gender from the short video. “She looks so beautiful even when pregnant”, one wrote, while another commented, “(With just) one glance at her face, it’s apparent that she’s expecting a baby boy”. ​Boba pearl milk tea is the craze now but many people have not heard of purple rice yogurt drink. 'Super Dream' is the first and only store in Singapore to launch a purple rice drink in their unique fruity yogurt. Super Dream’s signature series is their purple rice yogurt series. As the name implies, it is the combination of purple rice and yogurt. It is the healthy drink that the boss wants to introduce to the public to pay attention to health and adopt a healthier choice by replacing the pearl by purple rice. ​Purple rice belongs to glutinous rice and contains many minerals such as vitamin B1, vitamin B2, folic acid, protein and other nutrients. It has the effects of nourishing blood, warming the spleen and stomach, anti-aging and protecting blood vessels. It can be eaten by the old and young. Yogurt, as everyone knows, promotes digestion and absorption, increases appetite, and lowers cholesterol. Super Dream purple rice yogurt drinks come in a variety of flavours of yogurt: original, strawberry, kiwi, mango, etc., plus the full and chewy taste of purple rice, with a refreshing and fullness. Hong Kong actress Angelababy tied the knot with her husband, Chinese actor Huang Xiaoming in an extravagant wedding ceremony in 2015. Since then, the couple has welcomed their first child, a son nicknamed ‘Little Sponge’. However, in January this year, rumours began spreading that Angelababy and Xiaoming had called it quits, with a myriad of different reasons offered for their split. Some reports claimed that Xiaoming was being investigated for tax evasion following Chinese actress Fan Bingbing’s tax evasion scandal. Thus, to protect herself, Angelababy requested for a divorce from Xiaoming, and will not be contesting for custody of their son. 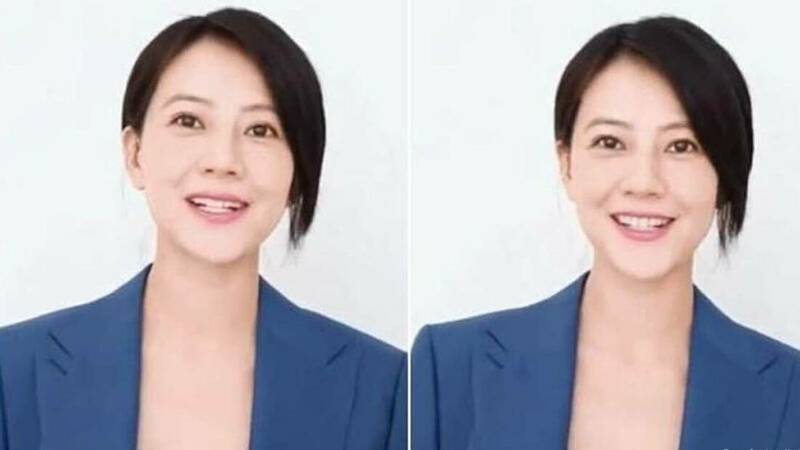 ​Last month, new reports emerged, claiming that the 30-year-old is currently in a relationship with her My True Friend co-star, Chinese actor Deng Lun. Yesterday (April 16), a netizen shared that they had seen a video of Angelababy getting intimate with Deng Lun in a car. The video in question was shared privately on their friend circle in Weibo. The netizen then posted a text post relaying what they had seen, asking if the video was “true or false”. Another netizen claimed that they had been accused of defaming Deng Lun by the actor himself after reposting the video of Angelababy and the actor in a car, and forced to delete the post. Soon after, Deng Lun’s work studio posted a short reminder online, asking fans to stop “pairing Deng Lun up” with other celebrities. They also asked fans to refrain from posting false information online, to prevent running into trouble with the law. Yesterday, a short video showing Hong Kong singer-actor Andy Hui getting intimate with Hong Kong actress Jacqueline Wong in the backseat of a car was made public. Since then, media outlets have relentlessly contacted the management agency of Andy’s wife, Hong Kong singer-actress Sammi Cheng, as well as the 46-year-old herself, for a comment on the saga that has unfolded. However, Sammi has yet to issue a comment on the saga so far. Both the singer-actress, as well as her manager have since changed the profile pictures on their Facebook pages to a simple all-black picture as well. According to a source close to the singer, Sammi has long known of her husband’s cheating ways, and once burst out in tears while at work. Her behaviour worried her close friends, who were afraid that she might slip into depression. Last year, Sammi admitted that she had a three-year battle with depression. At the time, she credited her husband for aiding in her recovery. In related news, netizens also unearthed an old Instagram post by Sammi where she uploaded a video of herself working out together with Jacqueline. In the video, the duo looked to be on good terms, with Sammi even addressing Jacqueline as her “baby”.